As we’ve learned from previous posts, we know that companies spend lots of effort and money each year to keep their facilities clean and in tip-top shape to provide you products of the highest level of quality. Besides training, education, and scheduling these companies to have one more way to make sure they are doing things right. There are businesses that, very much like a mother-in-law will come to your facility and tell you everything you are doing wrong in keeping house. Actually to conduct business with some major companies like Costco, Walmart, Whole Foods or Target your facility has to have a rating of 95 or better and for some only a 98 or better will do. The ratings are based on the results of findings from the audit by a third party company like AIB International (American Institute of Baking) or ASI Food Safety. Trust me, for the companies I worked where the score was important for business, the audit process is stressful and the worry endless until you get that report and rating. These auditors have a long list of things they look at which are the same for every facility they inspect so the scores are comparable. The condition of the facility, cleanliness of the facility, sanitation schedule, pest control program, condition of storage containers, receiving procedures, cooler log, freezer log, the condition of the employee restrooms, the condition of the break/lunchroom, standard operating procedures and training. It’s a thorough inspection and really keeps you on your toes but the secret to passing this inspection and getting the needed rating score is to run your facility this way year round. Don’t get lax but keep consistent especially since once you begin justifying putting of cleaning and repairs it’ll become all too convenient to keep making excuses until it’s too late. With that said, I worked at one company that waited until they got their notice of pending inspection, which you request in the first place and then they’d proceed to freak out getting all the records together on pest control and training and couldn’t even tell you the countless hours of overtime for cleaning, cleaning, cleaning. Yes, it’s true, not all companies are operated the same. Then there are a few larger corporations that have their own internal audit teams that would travel around the country and show up unannounced. Several months after we were bought by an even bigger fish, I can still remember the look on the plant managers face when one of those teams showed up unexpectedly to evaluate our operation as well as to deem who was worth keeping. In your own home, you don’t need a team of auditors checking every nook and cranny before assigning you a score but I’m sure we all know a family member or friend who would be more than happy to do that for us. However, it has been my experience if you keep up a consistent cleaning routine, do repairs within a reasonable time period and have good food storage habits your home will be safe even for your mother-in-law. Last issue we learned how the professionals keep their facilities free of vermin and how you can implement the same practices in your own home. Do you wonder how the large food companies keep their facilities so clean and spotless to ensure you get the highest quality product? I don’t know about you but I don’t always remember how long ago I cleaned behind the fridge, or how often I clean the range hood grills. Was it last month? Last year? The professionals use a fabulous tool to track cleaning that you can as well to make sure all is done on a regular basis and it’s called a “sanitation schedule”. Yes, it’s exactly what it sounds like. It’s a cleaning schedule that is posted in a convenient location where everyone can see it. It lists every component, every apparatus, every location that food touches and every other nook and cranny from receiving to production to packaging to the warehouse and finally shipping. Also on the schedule along with each item listed is when it should be cleaned, who’s responsible to make it happen and when it did happen. This ensures a uniform and continuous cleaning program that you can also schedule high traffic and critical areas for more intense cleaning. You can do the same thing for your home. Great areas, to begin with, would be the kitchen and bathrooms. So what do we need to clean? Use a critical eye and look around the kitchen and break it down. Don’t forget any surfaces. As an example, I have behind the refrigerator scheduled as an annual chore and then for the stove vent hood, it’s done along with the grease traps and vents every other week May-Sept and then up to once a week Oct – Jan when we do more cooking and entertaining. How about inside the refrigerator? The door shelves, the produce storage bins, the ice bin. All items you may miss but with your sanitation schedule, you are confident they’re clean and fully operational. Don’t forget the pantry and other cabinets as well that you use to store food items. When you’re cleaning them also keep an eye out for signs of infestation like mouse droppings and that food is properly sealed so it won’t entice unwanted visitors. Get the kids involved too by allowing them to make a cleaning schedule for their own rooms as well as other cleaning chores you may assign them. This is also the perfect time of year to get this started and a great habit to develop. So get your sanitation schedule together, (please feel free to change and tailor the name to suit your needs) and then you can run your household just like a professional. Want to learn more? It’s easy. You can begin by subscribing to this blog or you can also research it or google it. Try the term HACCP (Hazard Analysis and Critical Control Points) to get you started. Remember, there is no such thing as a stupid question. It’s natural. Your facility begins to get very busy, employees are putting in more hours and with the best of intentions they begin to cut some corners. Suddenly the facility doesn’t look so neat and tidy and the risk of trips and falls has increased. Prevent that nightmare, it’s always a good time to re-examine the basics so let’s continue down the Green Brick Road of Safety. Since we began our journey down the Geen Brick Road of Safety, we have met Hazard Analysis in volume I and learned how to identify safety hazards. Then further down the road we were introduced to PPE, in volume II which showed us what equipment is available to protect employees. Both of these are heavy hitters in the world of workplace safety, but can we still further protect our employees from injury? Yes, of course we can and it’s up ahead around the bend. 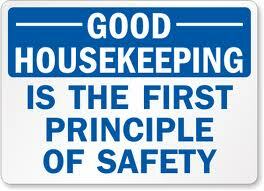 Let me Introduce to you, Housekeeping. Granted, it’s not a very glamorous sounding name as it brings up images of maids and hotels who are sweeping, mopping and dusting, but actually that is a part of Housekeeping. The warehouse loading dock is a major gateway for your company and with the constant ebb and flow of people, products and materials simultaneously arriving and leaving it’s a busy place. However, without the proper precautions taken it also can be the gateway for infestation, contamination and other unwanted visitors who are always looking for easy access to your warehouse and it’s contents and they are most pleased when you’re not being very vigilant in your prevention. POINTS OF ENTRY – So what are their usual points of entry? Let’s begin with those innocent looking trailers backing into your dock door right now. They could be just like a Trojan horse except now hiding and transporting vermin. Have your staff routinely do a visual inspection of all trailers before unloading. Look for the usual signs of infestation like rodent droppings, bags and boxes with holes that look chewed open and any insect activity. Contamination could also come in the form of chemical or other unwanted compound so also look for spills of liquid or powder in the trailer. It’s a good safety habit to develop making sure the floor boards in the trailer are in good shape as well. If they look deteriorated or broken and not safe enough to hold a forklift immediately contact your supervisor. When a refer unit backs in you should also check that the temperature inside is at the correct level for safe transport of that particular fresh or frozen food product(s). Any foul odors should also be followed up with a closer look in the trailer as some food items will absorb these odors. Then as you off load, check the condition of the pallets themselves for broken boards, exposed nails in addition for any indications of contamination. DOORS & WALLS – Another area of entry is the dock doors and dock levelers. When the doors are rolled down they may keep people out but can you still see any daylight coming from outside? A mouse only needs a tiny crack 2 cm in size to get in while a rat can fit through a hole as small as a quarter. Seal up all cracks and holes and use dock door brushes(>) or weather stripping to block all access. This should be accomplished for any holes or damage in the walls in your warehouse that would allow vermin entry into the warehouse. Seal them properly and to last. As an added precaution it’s also very important to have tin cats at all entrances from the outside and throughout the warehouse. Most pest control companies do a good job monitoring the tin cats and other pest activity. Each time the trap is inspected a card inside should be dated and initialed verifying this activity. It doesn’t hurt to keep them honest and follow up by spot checking. Is the dock area kept clean? If you are currently having a pest control company visit weekly, you can save money by reducing it to a monthly visit and then having your trained staff check the tin cats the other weeks. In seasons when it gets very warm and you need a little ventilation, use of screen doors helps keep out flying insects and bug zappers in key areas also provide great backup on controlling entry. So now that we’ve closed as many points of entry we can why leave them an invite with incentive? Any small amount of food remnants and trash not properly contained will attack any hungry animal. 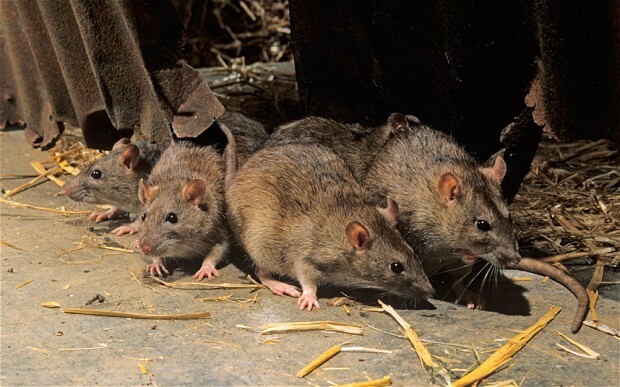 You don’t want find rodents having a midnight rave in your warehouse at your expense. A good idea is to put that task on a sanitation schedule, assigned to reliable people and then make sure it gets done. In addition don’t allow incoming delivery drivers sweep out their trailers at your dock unless they bag the trash and dispose in a proper designated container. 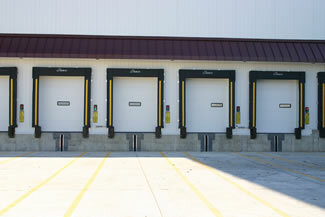 Keep the area around your loading dock clean and free of trash. Leaving cardboard and broken pallet boards to reamin on the ground is another invitation to stay and build a nest as well as becoming a magnet for other trash. How’s the flora around your warehouse? High weeds and grass provides great camouflage for the vermin invaders? Have it cut back and maintained on a regular basis. Lastly, be aware of what’s going on around your neighborhood. If there is any construction going on near by that may be displacing vermin from their homes? They will be searching for better digs and you don’t want them to give your warehouse a second look. It wouldn’t hurt to keep an extra eye on activity at your place. Another great side benefit of employing and following these practices is improved safety. Without clutter and trash around and keeping your facility neat and organized immensely improves overall safety reducing trips and falls and other accidents. Now that you have protected your gateway and have put your defenses in place, train the staff accordingly and remember to stay vigilant! It’s all most winter. It’s cold outside, there’s snow in some parts of the country and we’ve had some good rain in northern California. It makes you just want to find a nice cozy part of the house to cuddle up, maybe even in front of a roaring fire. Guess what, there’s vermin out there also looking for a nice spot to crash, in your warehouse! When the weather changes and the rains begin there are critters looking for a nice spot to spend the winter and maybe raise a family. So why extend them any kind of invitation? To you that pile of cardboard may not look like a luxury bed but an infestation of mice will turn it into a rodent hotel. The overflow of trash may not look like a cafeteria to you, but to a rodent it’s a score! The good news is there are several things you can do to deter that invasion, and most of them you probably already have in place. It’s a good time to step up your visual checks around the warehouse. The tin cats will give you a great indication of any increased activity. Also visual checks for rodent droppings and other signs of activity such as gnawed open bags of dried products and shreds of cardboard or paper. 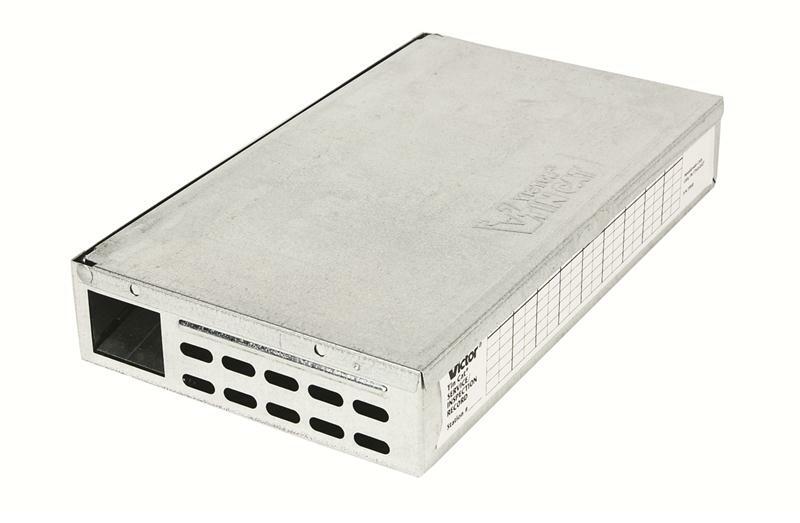 Did you know that a rat only needs a whole the size of a quarter to get into your warehouse and a mouse as little as 2 cm? Again, check for and seal all the holes in the external walls, doors and floors around your warehouse which will help strengthen your defense preventing critters getting in. In addition to making sure the tin cats are in place and not damaged, verify that the poison feeders outside, around the warehouse are filled and ready. Don’t offer any camoflouge for the vermin and have all grass along the perimeter cut down and shrubs trimmed. Keep dock doors closed when not in use. 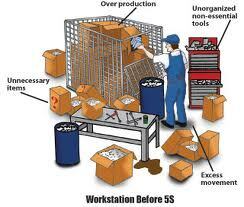 The most important step is to keep your warehouse clean and organized and free of temptation. The cardboard and plastic you bundle for recycling keep it turning over often and store the bales off the floor especially when there are going to be long periods of inactivity in the warehouse. Make sure you have a policy that any food product cases that are damaged or leaking are removed immediatley. Keep the yard area in front of the docks free and clear of trash by sweeping on a regular basis and be sure to clean the area under the dock levelers. Don’t let incoming trucks sweep out their trailers onto the grounds. Empty the trash cans from the caferteria or lunchroom at the end of each workday. Make sure the trash bin outside can be closed and it is also free of holes. 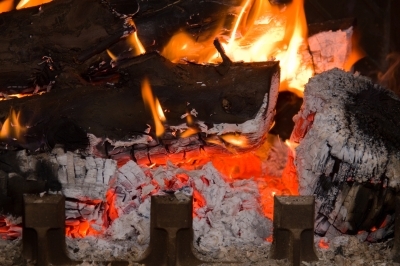 Hopefully these tips will help you avoid unwanted guest for the holidays. 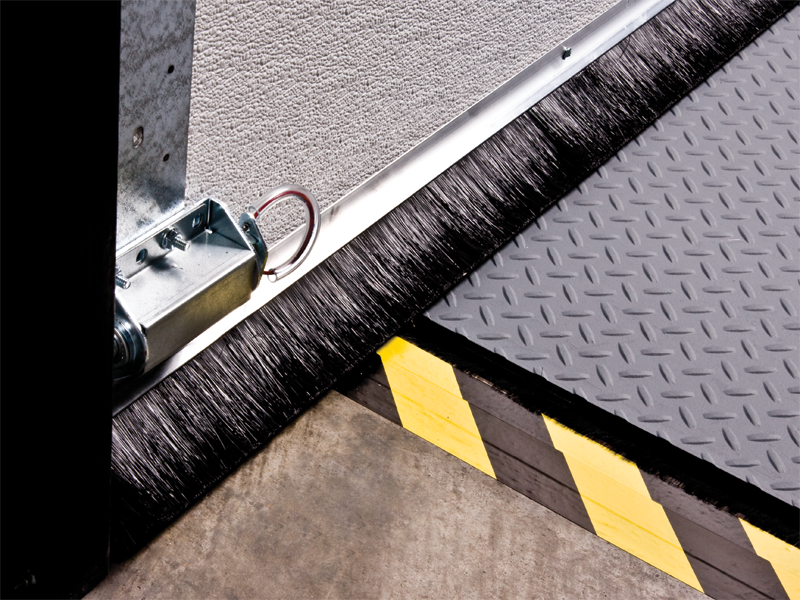 The loading dock is a major gateway for your company warehouse, where it’s a constant flow of products and materials. 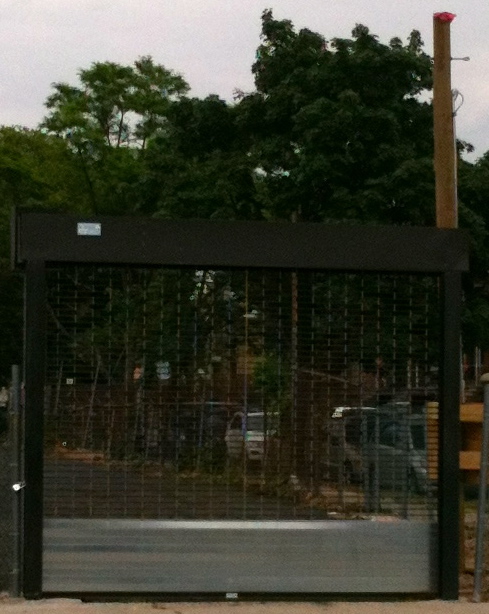 However, with out the proper precautions It also can be the gateway for infestation, contamination and other horrors! These uninvited intruders are always looking for ways into the warehouse and they hope you’re not being vigilant in your prevention. – Starting with those innocent looking trailers backing into your dock door. 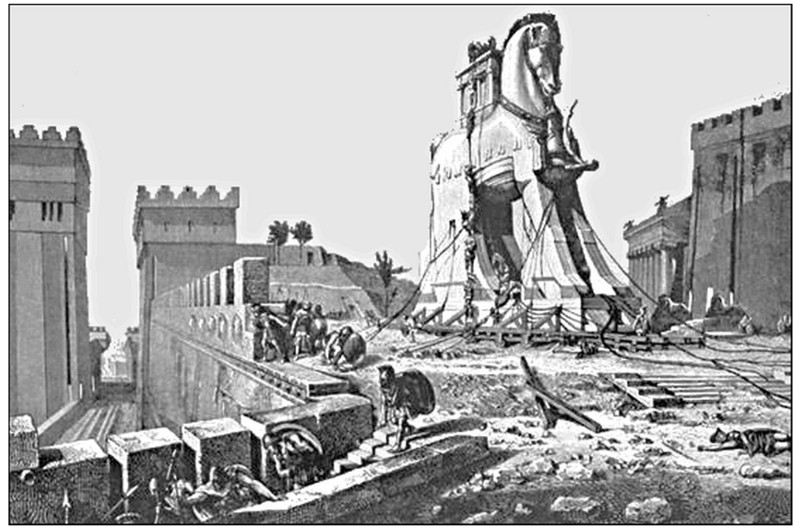 It’s just like a Trojan horse, sneaking venom inside. Have your staff do a visual inspection of all trailers before unloading. 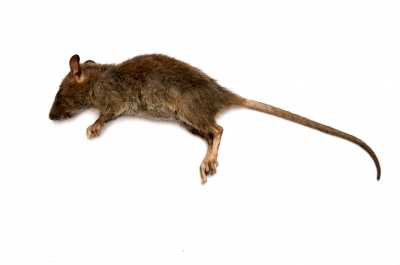 Look for the usual signs of infestation like rodent droppings and bags chewed open as well as evidence of insects. If the trailer is a refer you should also check that the temperature inside is at the correct level for safe transport of that particular food product(s). Any bad odors should also be followed up with a closer look in the trailer. Then as you off load, check the pallets as well for any indications of contamination. – Next, Check the dock doors and dock levelers. Can you see any daylight when they are closed? Believe it or not, a mouse can fit through that tiny crack. Have them sealed off with weather stripping or brushes to block any access. This also goes for any holes in the walls that would allow entry into the warehouse. Seal them good. – Is the dock area kept clean? Any small amount of food remnants and trash will attack any hungry animal. You don’t want rodents having a midnight rave in your warehouse at your expense. Good idea to put that task on a sanitation schedule and make sure it gets done. Don’t let drivers sweep out their trailers at your dock. – How’s the flora around your warehouse. Does it provide great camouflage for the vermin invaders? Have it cut back on a regular basis. – Is there any construction going on near by? If there is you may want to keep an eye on your tin cats since the displaced critters will be looking for new digs and your warehouse looks nice and warm. Tin cats are a great added level of defense and work like a charm. However you really should check them on a regular basis. You can also save some money if you have the pest control company come out only once a month to check the tin cats and bait traps and make sure there are no signs of infestation. You can fill in the other weeks with your own trained staff. – If you’re in a hot area and need to keep doors open for ventilation, use screen doors to help keep out insects while letting the fresh air in. Propping open side doors or keeping open dock doors only defeats all your other efforts. You can also add a bug zapper in key areas to help void the flying insects. Now that you have put your defenses in place, train the staff and remember to stay vigilant!